Stress and responsibilities at work and home take a toll on everyone’s food habits wherein many people suffer from acidity and heartburn. In fact, every third person complains of acid reflux, indigestion and gastric problems mainly because of an imbalance in the acid-alkaline pH of foods consumed when in a hurry. Moreover, today’s young generation consume more of fast foods, sodas and similar junk food which give rise to a deficiency in minerals, nutrition and vitamins. Alkaline diets are not only healthy, but extremely beneficial for optimum health. It helps keep chronic ailments like acidity, generalized weakness and osteoporosis under control. It is important to eat alkaline foods as the pH of human blood is slightly alkaline. It’s thus better to have more alkaline than acidic content in the body. 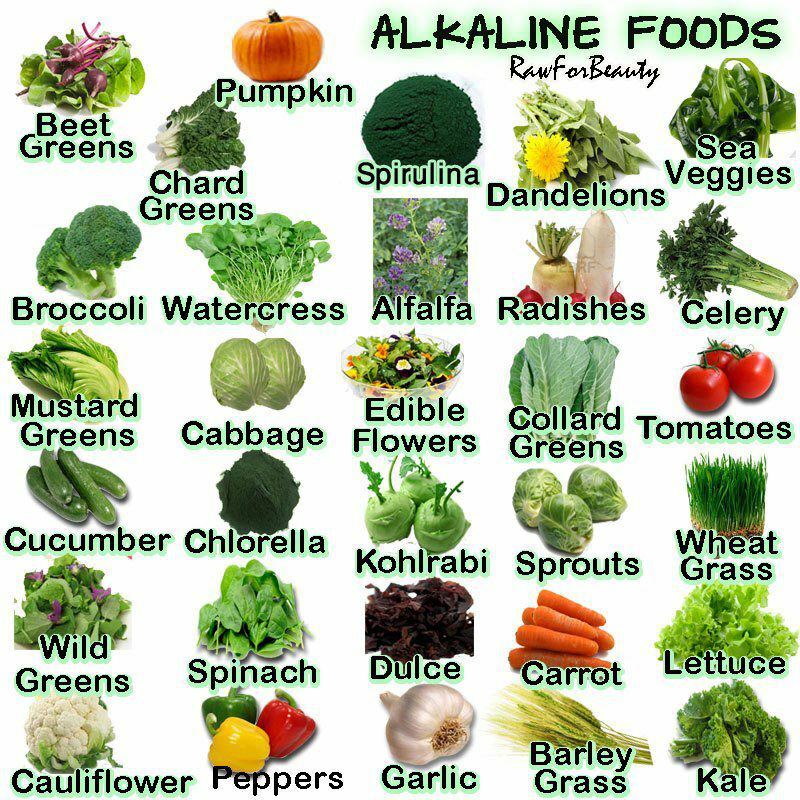 Alkaline diets with the right alkaline diet food list have loads of benefits like providing improved resistance, easy digestion, vibrant temperament, strong teeth and bones and increased alertness. 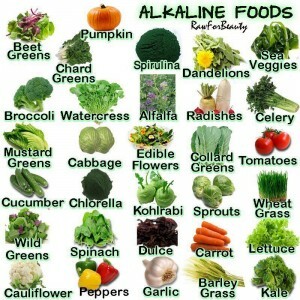 Moreover, alkaline diet foods are necessary for maintaining the blood pH levels at 7. 1.Cucumber is not only zero-calorie but also highly alkaline when consumed raw. It’s delicious with lots of nutritional benefits. It also helps improve digestion, has healthy alkaline water which flushes out unwanted wastes from the body and helps keep your skin fresh and glowing. 2. Celery gives maximum nutritional value and help at maintaining a normal pH level of 7 when half-cooked but can also be eaten as fresh salad. 3. Spinach is highly alkaline and offers maximum benefits. It gives equal effects when eaten raw or cooked. Other leafy greens like lettuce, wheatgrass, fenugreek leaves and basil are also great alkaline foods. They also offer an added advantage of containing lots of minerals and vitamins. 4. Broccoli is a nutritious and alkaline food which is easily digestible and provides a rich source of minerals like carotene and calcium. These minerals help improve immunity and fight diseases. 5. Banana offers many dietary advantages, is hugely alkaline and provides instant energy. It also works wonders at reducing the burning sensation and indigestion if you are suffering from severe acidic problems. Moreover, it contains healthy sugar, making it safe to be consumed by anyone in any health condition. 6. Capsicum or bell pepper is a rich antioxidant which can be eaten raw or cooked. It’s not only high in alkaline and nutritional value; it is also delicious and gives an added taste to any dish. 7. Potato skin is rich in alkaline content while potato is acidic in nature. However raw potato juice helps reduce the acidic content in the stomach. 8. Avocado is a rich source of alkaline and offers an overall benefit in maintaining good health. It improves your haemoglobin levels and is great for restoring normalcy if you suffer from a disease. 9. Cold milk is high in alkaline content and is usually recommended to help combat acid reflux disorders and heartburn. 10. Soy beans and soy milk are greatly alkaline and nutritious. Follow this alkaline diet food list and you are sure to find marked improvements in your overall health and also experience some weight loss.